A vet and his assistant have been torn apart by three lions in a blood-curling assault at a wildlife refuge in Jordan’s western Balqa governorate on Sunday. Both men failed to survive the horrific encounter, succumbing to injuries on their way to the hospital. 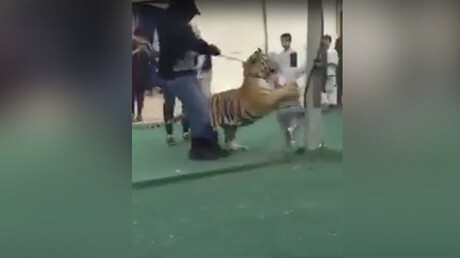 While the terrifying circumstances of the bloodshed have not been revealed, it is assumed that the predators pounced at the men as they were standing near the cage, Sky News Arabia reported. According to an unnamed security official, cited by AFP, all three lions were killed in the aftermath of the attack. The vet was reportedly identified as a Jordanian citizen while his aid hailed from Palestine, Hala Akhbar news site reported. The Jordanian authorities have launched an inquiry into the circumstances of the incident. 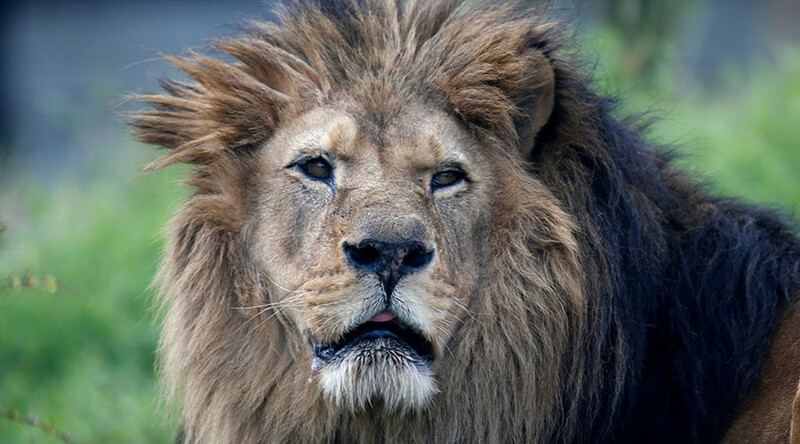 Lethal incidents at zoos and other entertainment venues involving lions and other large cats have been constantly making headlines around the world. The best outcome of such encounters is severe injuries inflicted on human victims by predators, while the most likely end of the story is death. Just last month, an Egyptian lion tamer was savaged in a brutal attack by a 200kg South African lion during a circus show. The 35-year-old man, who was a circus artist with 10 years of experience behind his back, died of his injuries two days after the attack. Also in December, a drunk Russian man had both his arms severely bitten by a lioness after he entered the enclosure she was kept in a bizarre attempt at a cuddle. The man, in his 50s, who had been dismissed from his job as the zoo’s tractor driver two days prior to the mauling, climbed a high fence encircling the enclosure to find himself face to face with the lioness. The incident occurred in the early morning, when the zoo was still closed for the visitors. The zoo officials later argued that the animal was in no way to blame for the attack, stressing that all precaution safety measures were in place and one should know better than climb the fence.